The 22 townhomes at Brio at Greenbridge range in size from 1,238 to more than 1,700 square feet on two levels. They include two or three bedrooms. The townhomes are located directly adjacent to some of the community’s most sought-after amenities, including parks, playgrounds, cafés and a brand-new library. SEATTLE — The newly completed Brio at Greenbridge, comprising 22 new, modern townhomes, is one of Seattle’s best-kept housing secrets, says Richard Obernesser, president of BDR Urban, Brio at Greenbridge’s developer. The townhomes are located directly adjacent to some of the Greenbridge community’s most sought-after amenities, including pocket parks, walking trails, playgrounds, ball fields and its own community hub with cafés, a recreation center and a brand-new library. “This is the best address in Greenbridge,” says Obernesser. “It’s right next to the coffee shop, restaurants and community center.” Residents can also walk to area schools, and downtown Seattle and Sea-Tac Airport are close-in commutes. Backyards are fully fenced and include weather-protected, covered outdoor rooms with lighting and built-in heaters. Brio Townhomes feature a sleek urban architectural aesthetic with dramatic angles and pops of brilliant colors for a captivating streetscape. Interiors are illuminated by natural light thanks to oversize windows that are strategically placed throughout the townhomes. The 22 homes range in size from 1,238 to more than 1,700 square feet and feature two or three bedrooms on the upper level, with an open-concept great room and kitchen on the main living level. 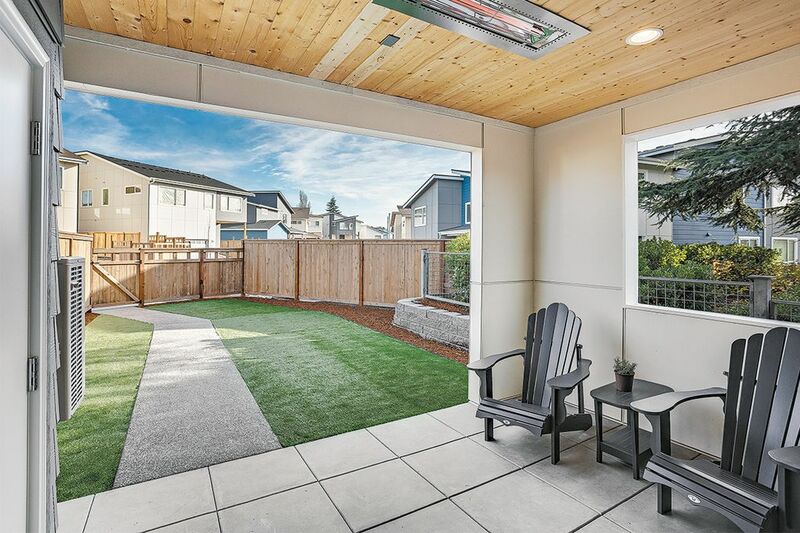 To further extend the living space, backyards are fully fenced for added privacy and include weather-protected, covered outdoor rooms with lighting and built-in heaters for year-round comfort, relaxation and entertaining. Master bedrooms include en suite baths, and select plans have spacious walk-in closets. Laundry spaces are conveniently located on the upper level between the bedrooms. In the kitchens, wide slab islands with built-in undermount sinks allow for extra prep and dining space, and modern, flat-panel cabinetry is accented by full-height backsplashes and stainless steel appliances. Designer-selected pendants, tiles and flooring add to the homes’ luxurious feel, and built-ins like desks and great room cabinetry are a space-saving touch. As an added convenience, the outdoor rooms include additional storage. 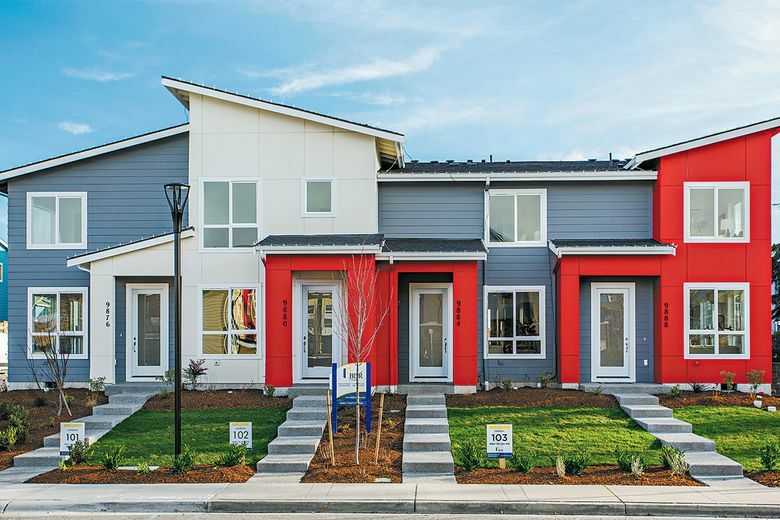 BDR Urban has created a collection of new homes and townhomes within Greenbridge that more than 50 families now call home. The homes are nestled around some of the 12 parks in the community and art walks that connect the neighborhoods.